Denttio’s Practice Management Software is the most comprehensive, yet user-friendly dental management software. It is highly advanced and sophisticated so that patient management, billing, office reports, and appointment scheduling are easier than ever. Quickly transmit claims electronically via the Internet to receive payment faster, reduce rejections and eliminate extra paperwork. Our Practice Management Software seamlessly integrates with Denttio’s other imaging software maintaining a single solution database for an efficiently-run practice. Instantly connect to all relevant patient information including intraoral or digital x-ray images to create a comprehensive history or to track a patient’s progress for diagnostic and insurance purposes. Denttio’s signature Clinical Charting software is innovative and simple to use. Collect all pertinent tooth information with just a few clicks of a button. Categorize tooth conditions with the included templates or create customized categories by name. Features this software include Quick Button, Tooth History, Treatment Plan, Actual Treatment and Tooth Images. Perio Charting software is a vital part of periodontal treatment. With our signature Perio Charting Software, dentists can record information including bone loss, plaque, probing depths, gingival margins, bleeding points and furcation grades. Also, view dates graphically or numerically with a graphing tool and other useful functions. * Each Charting Sold Separately. Denttio File Cabinet Paperless module allows you to scan and/or import documents to patient’s account. 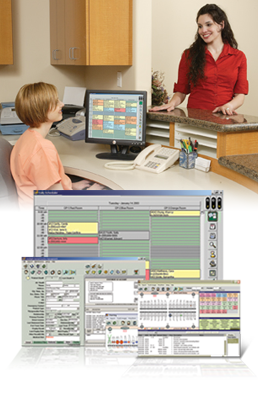 Systematize Office/Patient’s document electronically into different categories and keep track of document history. Eliminate having a pile of patient folders stored in the office and digitalize all documents to be linked with existing Denttio Practice Management's patient database. With this paperless module, you can find and search patient/office documents much quicker than going through physical folders. 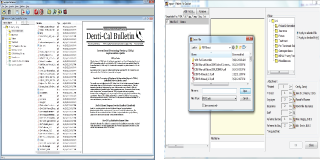 Denttio Form Builder Paperless module is used for both patients and office staff members. The purpose of this application is to eliminate paper documents for patients to fill out. Instead of populating paper documents for patient info, medical history and others, the office user will assign appropriate documents for patients to fill out within this paperless module. The patient will sit in front of a computer to fill in requested documents. Filled out information will be saved into the computer instead of having piles of paperwork stored on your folder cabinet. 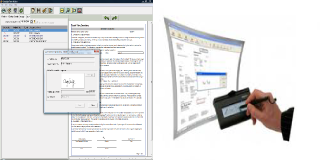 Office users can also create and customize documents to be saved. If you computers have other language typing capability, you can customize documents in different languages as well. * Each Paperless Module Sold Separately. Anywhere Remote Access is a module that allows dentists to take their Denttio Practice Management software mobile. Simply connect Denttio Practice Management software or another Denttio imaging software program to any remote location in the dental office using an internet connection via Anywhere Remote Access. 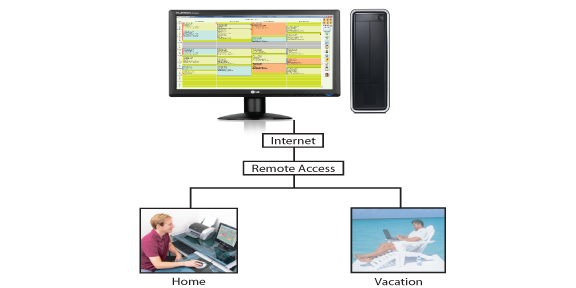 Update files or access important data such as the appointment scheduler or x-ray images from anywhere at home or even while on vacation.This will increase dentists’ work flexibility as well as enhance their productivity. Remote Access is available on all Denttio Systems and can only be used to access information from Denttio Practice Management Software. * Remote Access Module Sold Separately. Designed specifically for endodontists, Endo Practice Management Software is a user-friendly one-source provider for forms and reports. Comprehensive Referral Reports can be printed out on a weekly, monthly, or annual basis for easy viewing. 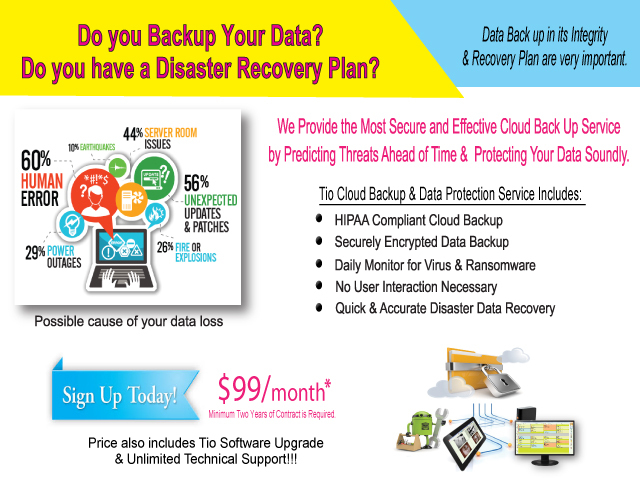 Prescriptions, Progress Notes, Symptom Checklists, and other templates can be completed, printed, and saved in minutes. With all of these features, Endo PMS helps dental offices function more quickly and efficiently.